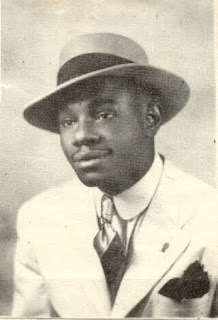 In the study of rumba, the influence of the Abakua on rumba is frequently mentioned. Abakua’s origins are in southeastern Nigeria. It’s modern manifestation in Cuba originates in Havana as a secret society of the blacks living and working there. I’ve wondered exactly how Abakua has influenced rumba. Abakua has it’s own rich music, complete with a special set of drums and percussive instrumentation, dancing and songs. Abakua rhythms also have a rich improvisation element to be heard in the lead drum known as the Bonko Enchimiya. It is well documented that several of the most influential early rumberos were Abakua, and incorporated Abakua language lyrics in their compositions. Chano Pozo and Justi Barretto being two well-known Abakua rumba composers. Columbia: Rumba Columbia’s origins lie in the countryside, in the worker’s barracks for the many different Cuban plantations. Rhythmically, Columbia is played in 6/8 the same as Abakua rhythms are. 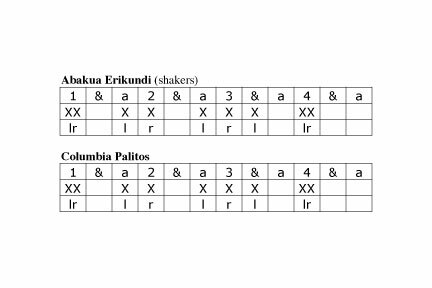 The same pattern is used for Columbia’s palitos/cata as is used for Abakua’s erikundi shakers. Although Columbia typically uses the common 6/8-bell pattern, it is not uncommon to hear rumba clave played. One of Abakua’s several Ekon (bell) patterns is exactly the same as clave played in 6/8 time. Another similarity I’ve noticed is in the melodies of the drums. Abakua is typically played with 4 drums; 3 drums playing the melody and an improvising lead drum. Rumba Columbia is played with 3 drums; 2 drums for melody and an improvising quinto. When I compare the Abakua rhythm as I’ve been taught with the Matanzas and Havana Columbia rhythms I’ve also been taught, I recognize a few similarities, if I allow for the absence of 1 drum from the Abakua rhythm. 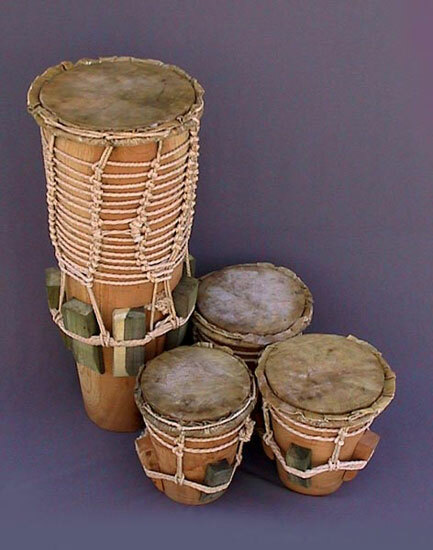 The melody between Abakua’s Eroapa (high drum) and Kuchiyerma (middle drum) resembles the Havana style Columbia’s melody. Mainly you have two higher pitched tones immediately followed by two lower pitched tones as a melodic theme. 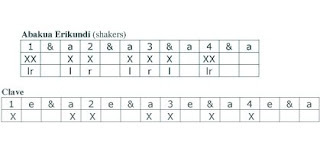 In this comparison, I am also reminded of the practice of "doble" in Columbia where each drum plays tones on different sides of the clave once per clave in the beginning of the song, then playing twice per clave in the second, or doubling. Also the melody between the Eroapa and Obiapa (low drum) resembles the melody for the Matanzas style Columbia I’ve been taught. Here we have a low note, then a short space followed by two higher pitched notes as a common theme between the two. I'm not saying that this is the definite case. I'm possibly projecting a bit. I do perceive a similarity between the relationship of the melodic tones. I also see the possibility of deriving the Columbia rhythm from previously known Abakua rhythms as the Abakua members were creating a secular popular rhythm from the secret rhythms they were already familiar with. Finally, there are several motions in the dance for Columbia that appear to have their origins in the dance of the Ireme in Abakua. Frequently in Columbia the dancers use machetes as props in their dance. It was pointed out to me by John Santos in a recent lecture that several of the motions and steps employed by the Columbia machete dancers were exactly the same as those of the Ireme who holds a stick and a whisk in either hand. Also there is a hip shaking motion used by the Ireme to jingle his belt of bells that can also be seen in Columbia dancing, even though a belt of bells is not used. Columbia’s dance is also a male only solo dance where the dancers take turns which is the same as Ireme’s dance as practiced in Abakua tradition. 2. Yambu. The connection and between Yambu and Abakua seemed much less apparent to me. The musics seem so dissimilar. Firstly, Yambu is played in 4/4 time versus the 6/8 of Abakua. 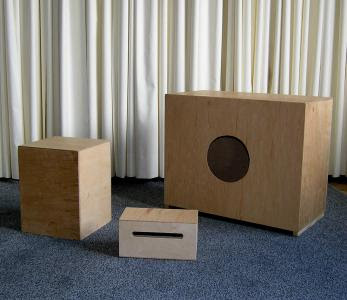 The instrumentation of early Yambu’s cajon ensemble is also very different from the drums, bells and shakers of Abakua. However, it is mentioned in every book I’ve read on the subject that Yambu originated in the docks of Cuba. It is also mentioned that the Abakua societies were the ones in control of those same docks. So the early Yambuceros were almost certainly Abakua as well. Musically the only the only similarity I can find is again, in the clave. Many scholars mention clave coming from Abakua. Early yambu uses several claves. 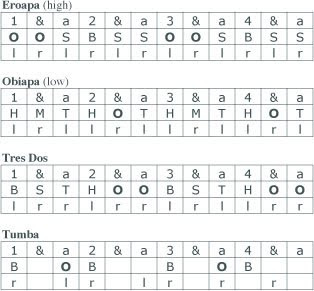 Havana Yambu frequently uses Son clave, possibly an adaptation of the 6/8 Ekon clave pattern. However Matanzas Yambu frequently uses a different clave. When I examine this clave, I notice that this also has a strong similarity to the Erikundi pattern, perhaps adapted to the 4/4 Yambu timing from the 6/8 Abakua pattern. Of course this is conjecture on my part, but look how closely they resemble each other, if you just move the strike right after the 3 in the Erikundi pattern over a little to make up for the increased space in 4/4 time. 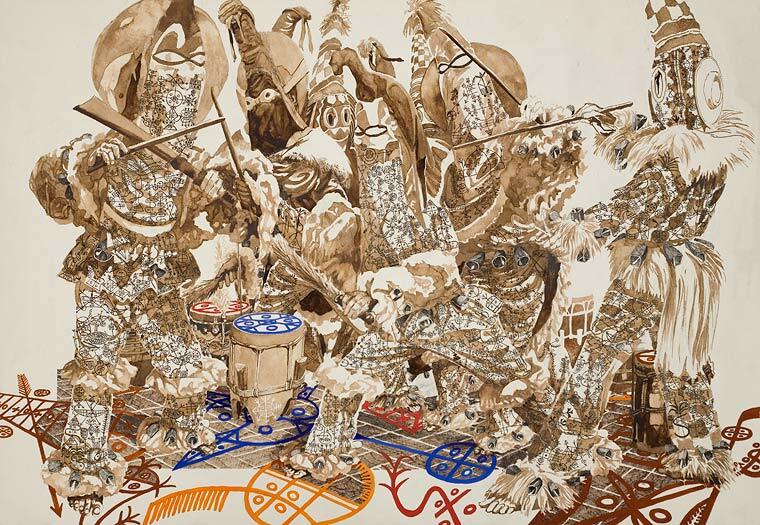 Examining the dance of Abakua and Yambu, again, at first glance there seems to be little similarity. Yambu is danced as a couples dance, and there are no props. The main similarity I can see is the tempo of the dance. Yambu and Abakua are both danced slowly. Whether coincidence or intention is beyond my ability to determine, however it is a similarity between the two. In addition, I sometimes wonder if the handkerchief, or scarf frequently used as a prop by the male Yambu dancer is derived from the Ireme's props as well. It often seems as if they share some common movements. There is no question that Rumba has had many influences. Almost certainly the Yoruba / Lucumi culture has had it's influence in the music. Flamenco from the Spanish is said to be an influence as well. However I have always heard it mentioned the Abakua were the largest contributors to rumba, and so I've looked for the similarities in the music (maybe too hard! ), to see if they remained to be seen. However perhaps the largest Abakua contribution can be seen in the practice of rumba itself. Regarding Abakua I’ve read “La Amistad a un lado y el Abakua separado” (Friendship is one thing, and the Abakua another.) Regarding this, one cannot deny the sense of camaraderie and friendship that frequently sweeps over a rumba as the groove of the rhythm overcomes the rumberos as they collectively create the feeling of rumba. As I have said myself “La Rumba esta una familia” The Rumba is a family. Great post Gordie. I really enjoy your blog. Re: Yambu and Abakua...there is one similarity you haven't mentioned, although it may be a stretch I think it is worth mentioning.. The belt of bells worn by the Ireme. Cajones in Havana often have a a belt of bells as well. Could be a connection! As a Canadian I have made many many trips to Havana and some to Matanzas. Personally I have always just assumed that all rumberos played bata and were also Abakua. As you mentioned, both Abakua and Yambu have strong connections to the dock workers. I have never taken an official poll but every rumbero I have ever befriended has been both a Batalero and Abakua although I will say you must have their trust before some will talk about any connection to Abakua. Unfortunately, racism is still alive and well in Cuba! I'm glad you're enjoying the blog. You're very lucky to have visited Cuba. I haven't been yet myself. I think fewer rumberos in the states are bataleros vs. Cuba. Bata just doesn't seem to be as popular or easy to study here in the USA. I actually just found out about that Abakua book earlier today, it was posted on the fidelseyeglasses blog. Fantastic location downtown, safe, secure, good people, and the price can't be beat. 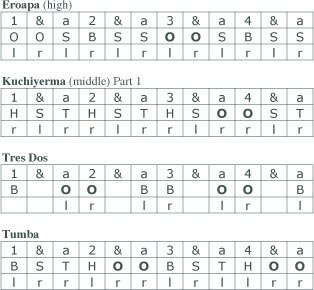 any suggestions what kind of hand pattern I cuold use if playing a Rumba Columbia middle drum pre-doubling? Hitting just one set of open tones, only on the back half of the bell, in other words? I really like how yuo mentioned that practice in this post -- i had noticed that same thing, too. I mainly just use HTSHTS on one side of the clave. i was just looking around and found a great ewbsite with podcasts and lots of obscure abacua music! BTW I really like your Eroapa patterns-- I've been trying them for the past few days & they flow so very nicely! With the Columbia drums, though, I was interested b/c I learned the pattern as htStOO whereas you have the slap coming a bit sooner. That gives a totally different feel, so I wanted to ask about it? If you play the slap as you do (HTS), the slap would play right on top of the tumba's note. Playing the slap earlier (HST), the slap gets played in a spot all by itself leaving the tumba's note space to play on by itself. didn't like the palo-columbia connection? it actually supports rather than disproves your thesis. its a common place to put a drum accent, and a very common melodic concept, in other words. and abakua and columbia definitely have similarities in the dance, as you mentioned. It is a forum that is much more suited for these kinds of discussions than a blog. I am a member there as well, however there are several members that are much more knowledgeable and experienced than myself. I recommend you check it out. There are many subjects there I am sure you will find interesting. I have a question for the author. Please, let me know if you have a photo at the very beginning (link below) in the original version and better quality than those available on the site? I will be very grateful for your answer. Best wishes. The Gourd, The Bead and The Agbe.